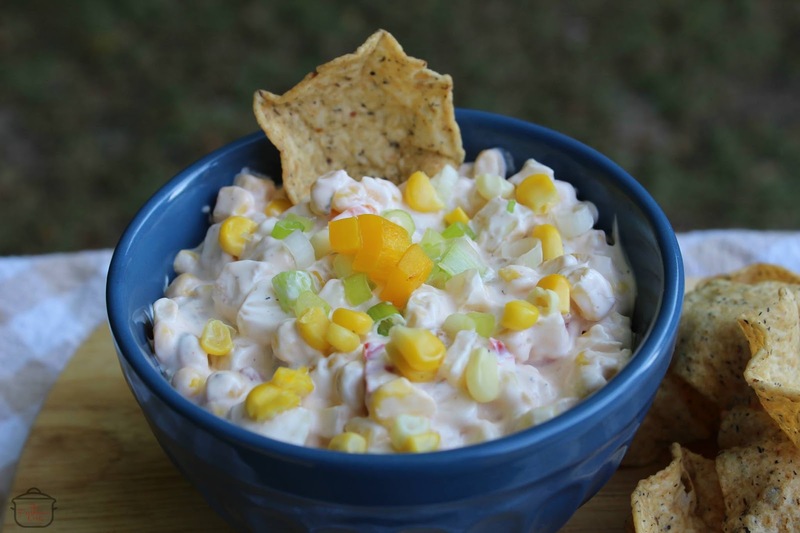 It is August and #TasteCreations is serving you summer corn recipes that will delight everyone in your family! Be sure to pin this page to save it for future reference! Our Taste Creations team of Nikki, Rosemary, Teri, Lauren and myself are working hard each month to present you with a variety of recipes on a variety of foods! 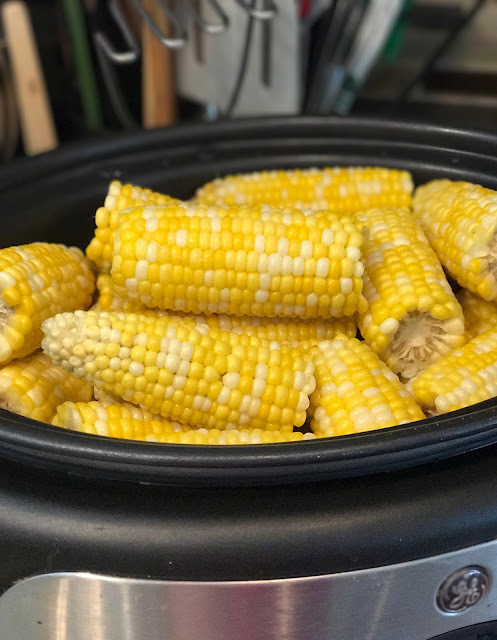 We love corn on the cob at our house and we cannot get enough of it. Especially since the corn is grown right here in our neighborhood at a farm called GlenMark Farms. We know the owners and enjoy going to their place for fresh picked tomatoes and corn, and then picking up a pie or some jarred pickles or salsa. It is a wonderful part of our community! This is such a great dish to make for company. The best part is that you can start it and forget it, especially if your crock pot has a keep warm setting on it! The corn is perfectly seasoned and buttered, just provide a set of tongs to serve! 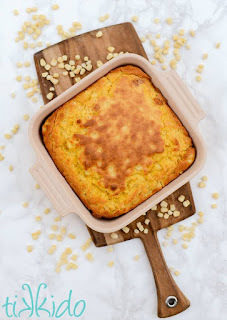 This is so simple that it is hard to even call it a recipe. We can't even imagine making it any other way, especially if we are going to serve it to a crowd of people! Cut the cobs in half. Lightly coat the corn in olive oil and then sprinkle with salt and pepper. Add water to the crock pot and turn on high. Add corn. Cook for 3-4 hours on high. When the corn is ready (look for bright yellow ears) drain the water and add butter, tossing to coat all ears. Don't forget to head to the other blogs to see their contributions to today's post! From The Freshman Cook is Roasted Corn Dip!